Today get another 3 Keys IELTS Success story! Find out how a 3 Keys Success System student got an 8.5 in Writing! 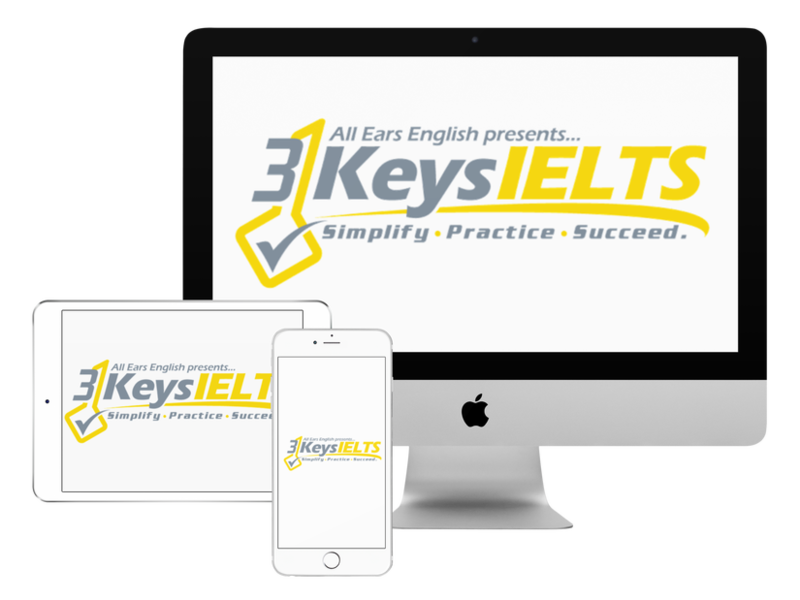 Get more detail on exactly how he did it with 3 Keys Power Hour and 3 Keys IELTS. He had a VIP session with Jessica. He joined the Power Hour. He worked with native speaking tutors online to implement the advice Jessica gave him. We also know that he still had time to go surfing and live his life. You have to be organized like this student. You cannot use random resources to achieve your goal. This student was already high level. His grammar was already fantastic. His vocabulary was already good but we had to work together to focus it. He had to channel his good vocabulary to build his high score based on what the examiner wanted. Our course can help you improve your overall fluency even in the 30-day study plan. In our course you will not only improve your testing skills but you will also improve your overall English skills. The biggest thing we helped him with was focusing his ideas and connecting them to the question. The biggest danger of being a high-level student is that you want to make things too complicated. It’s hard to get across these complicated ideas in such a short essay. We work with high level students to be more direct in their reasons and to only choose what they need for the essay so that they can get the score they deserve! What questions do you have from today?